1. 30-20-10 Printable Running Plan: Scientifically proven to improve race times, this interval running plan is great to mix in your race training plan. 2. FlashFit Workout #1: To challenge my lunch workout buddy and I, I started putting these strength and cardio circuits together to get the most out of our short time at the gym. They feature combo moves that hit all the major muscle groups and cardio bursts to keep the fat-burning furnace on high. I've got many more of these put together in a notebook for a class I hope to teach that will eventually migrate here to Boun-See. 3. 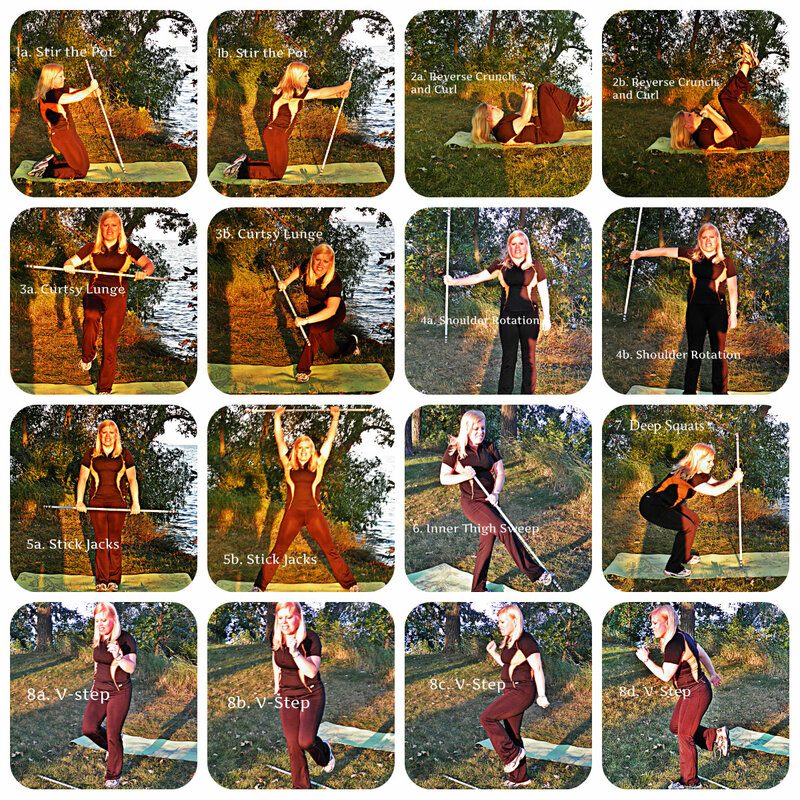 Broomstick Stretch Workout: A simple broomstick can sometimes give you a better stretch than your body alone. 4. Broomstick Full-Body Workout #1: Likewise, this common household item can also give you great full-body fitness benefits. Throw in 1 minute of cardio between each move and you've got yourself a pretty comprehensive training circuit. 5. 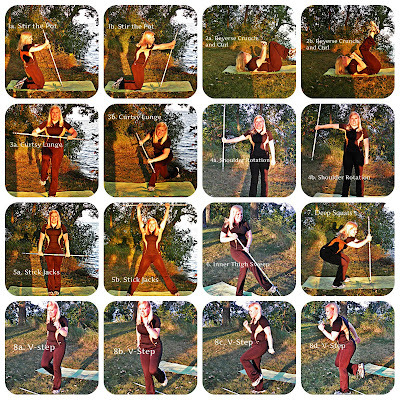 Broomstick Full-Body Workout #2: Part two of the above. 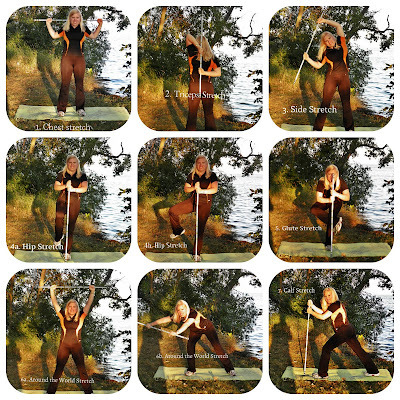 Work every major muscle group from different angles using something as simple as a stick! Thanks for the challenge, Lindsay! I hope to see some new faces around here and meet some new fitnessistas myself. The blogging community is so inspiring, isn't it? 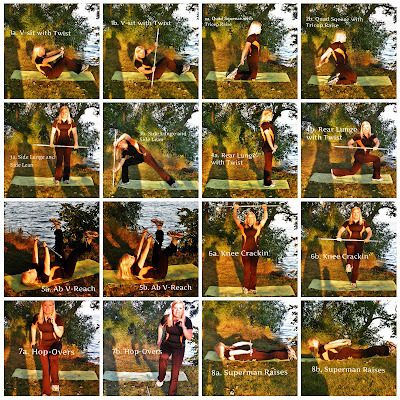 My goal this week has been to get some video set up of some of my workouts that I may post on YouTube. I got the wrong cord for my camcorder from Radio Shack, so I'm trying to source the right one on Amazon. After I figure out all the logistics of all this video stuff, I might just start putting together an exercise library. How cool would that be? Sign up for updates from Boun-see in my sidebar so you won't miss any! I've made all of the images above easily Pin-able, so feel free to share the love. I appreciate it! yay! 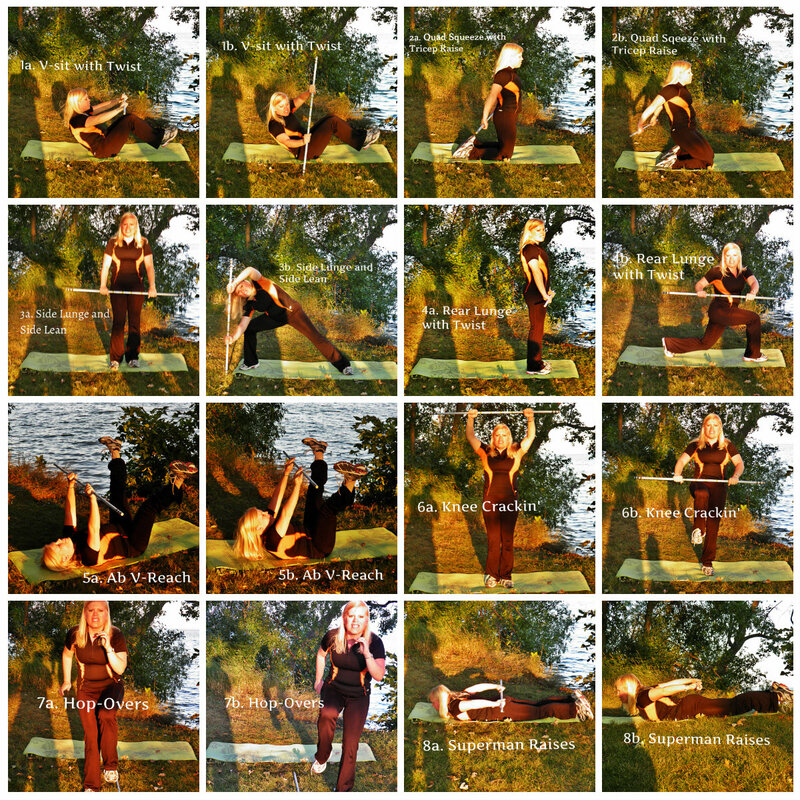 pinned the flash fit workout and the first broomstick workout! thanks for participating! Thanks Lindsay! This was so much fun. For those who frequent the gym and already have a toned set of abs, starting to use the belt with higher intensities will suit them the most. You can adjust the lacey l intensity by using a remote control that comes with the device. So if you use it at a high intensity level and you’re not comfortable, simply change the level. When my iPhone had an unfortunate encounter with the pavement, I needed a screen repair and fast. This place was fast, affordable and reliable. My phone looks new. Great service! Gary is awesome. Professional, Efficient, Friendly... I hope I never have to go back but if my phone does ever crack Réparation iPhone... 100% going here. The exercise is the 1st step of body building if you do not do the exercise so you will not get your desired shape and size of your body, but with this exercise the using of pills and protein also plays the vital role in developing up your body, so always try to choose this summitgym.net/ for getting your pills and protein because from this you will always get the quality drugs for your body building. I knew this blog post was existed someplace. Thanks to post such articles. Will unquestionably be using it very soon site recommends.